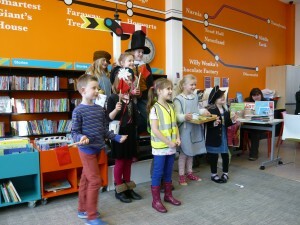 We encourage young people to use the Collection and have events during the holidays in the main children’s library. For the children there are dressing up sessions, games to play and all kinds of train related craft. Some of our games have been specially designed for us by local school children. There is also a small Brio train set (available on request) for the little ones to play with while their parents are busy.